Just inland from the north-eastern corner of the Mediterranean Sea, along the ancient trade route connecting the two major centres of Mesopotamia and the Mediterranean is the little inland province of Osmaniye. 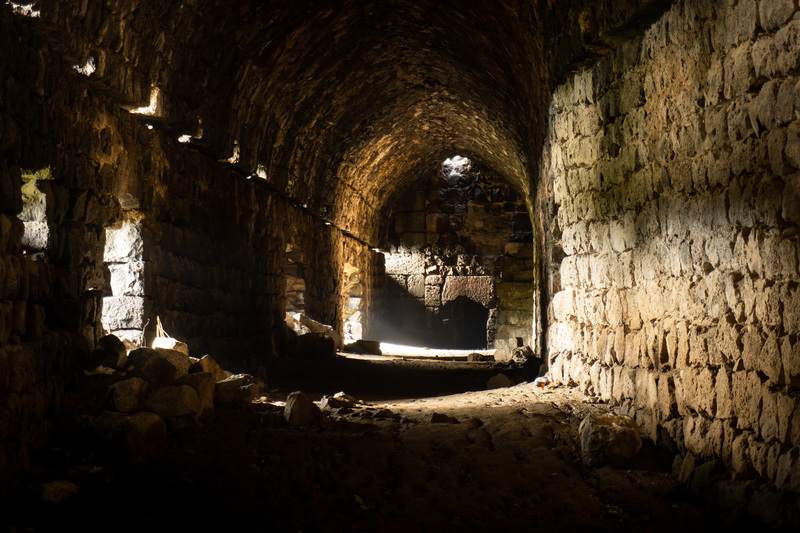 While Osmaniye may not have been altogether important in and of itself, the importance of this road in the eyes of many historic civilizations is clearly seen in the castles that they built to maintain control over the region. The castle at Toprakkale is said to date back around 4000 years, though the bulk of today’s structure is dated to 800 AD when the Arab Abbasids greatly expanded and restored the fortifications. 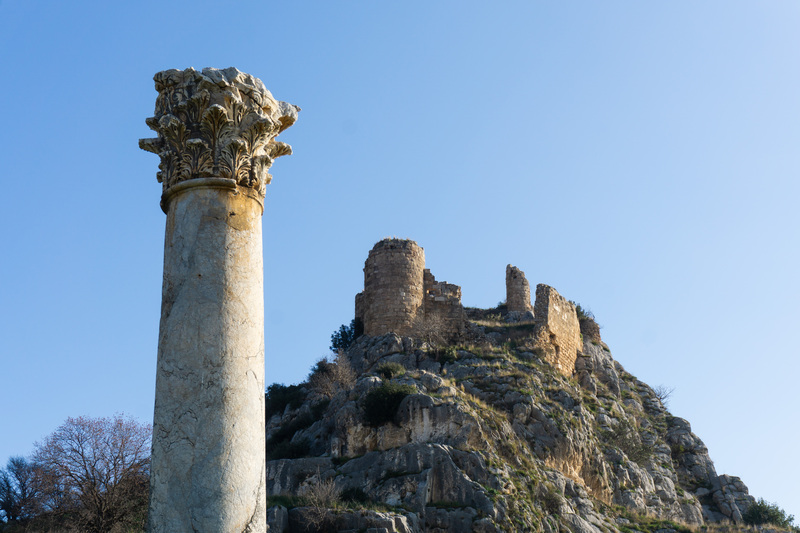 The castle today sits atop a 65 metre high hilltop commanding a view of routes south into Hatay, east toward the city of Osmaniye and beyond into Gaziantep, north toward Kadirli, and west towards Adana. Its no wonder that this site has been given so much importance for so long. While the castle is partly ruined there are many rooms and crevices to explore. Much of the walls and towers are still standing and it’s easy to get a sense of the grandness with which this place was once built. Toprakkale Castle is located just outside of the town of Toprakkale, on the south side of the D400 highway and the town of Toprakkale itself. Unlike most of the castles on this list, Kastabala Castle (also known as Bodrum Castle, and, in some old Turkish guide books Gastabala Castle) is actually a part of a much larger city where its classical flavour is still immediately obvious. Below the castle you can see theatres, colonnaded streets, Roman Baths, and the remains of Byzantine churches. Despite the fact that the Roman era city has attracted a fair amount of attention from tourists and researchers, there seems to be little information available about the castle itself. It’s likely that the castle site may have originally been used as the city’s acropolis and only later turned into a fortification after the city was abandoned and only the hilltop castle continued to be in use. 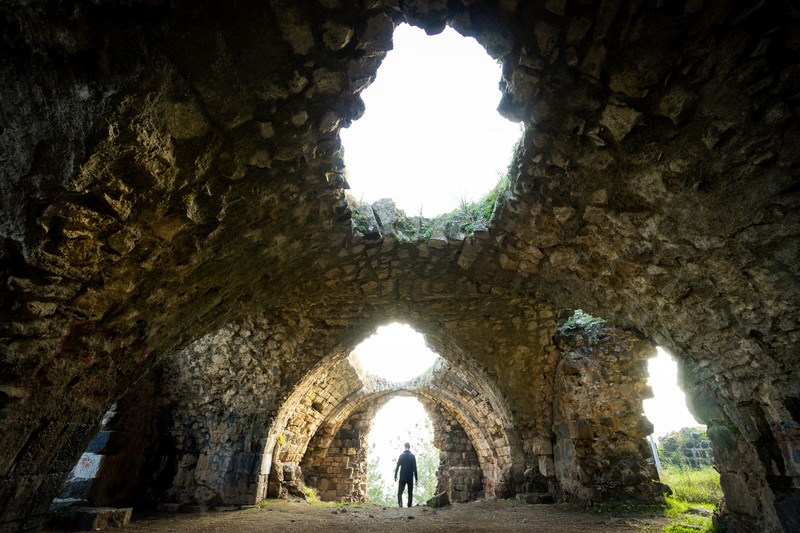 Kastabala is on the Osmaniye-Kadirli road south of the Karatepe national park, about 15 kms from the Osmaniye city centre. 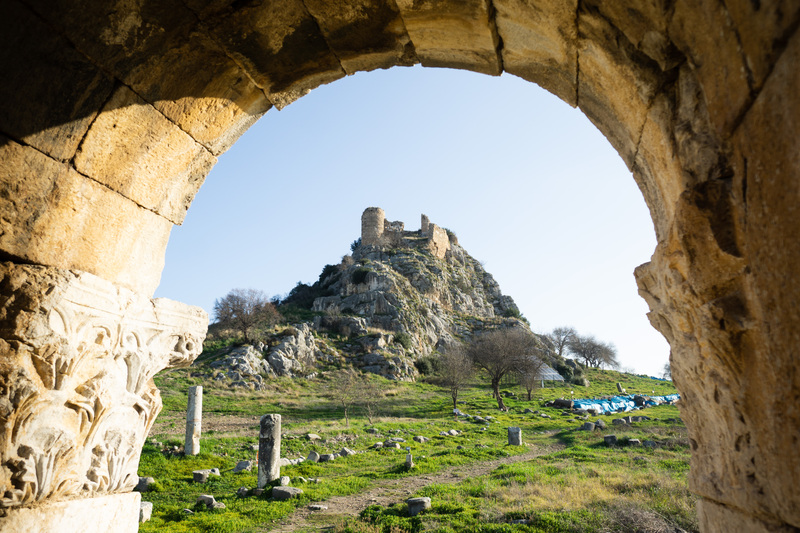 Just outside of the village of Gökçedam, on the north bank of the Ceyhan river, is a rather humble castle known as Hemite Castle and sometimes referred to as Amuda (or Amouda) Castle. When this hilltop was first fortified is unknown but it was given by the Armenian King to the Teutonic Knights in 1212. While the castle is really quite small, it was said to have held 2200 refugees when the region was attacked by the Mamluks in the later part of the 13th century. While there is little left of the castle today, the view from high above the river is quite beautiful. Nearby is the Hemite Relief, a Hittite rock carving of an armed figure. The relief can be found right on the banks of the river. View of Hemite Castle from the Ceyhan River. Hemite Castle is just outside of the village of Gökçedam, some 24 kms west from the Osmaniye city centre. Also referred to as Haruniye or Kurtlar Castle, this castle was built by the Abbasid Caliph Harun al-Reshit near the end of the 8th century. It would go on to change hands a number of times between Abbasids, Byzantines, Armenians, Seljuks, Teutonic Knights, and finally the Ottomans. Some historically suspect restoration work was done on the castle in 2011 and a number of gazebos installed a little ways away from the castle. Thankfully the restoration work hasn’t really ruined the sense of the place and the thick fortifications built high on the mountainside are still well worth a visit. Harun Reşit Castle is 5 kms north-east out of the town of Düziçi. While it’s only a 5 km drive it is a very steep and winding road so a car is highly recommended. 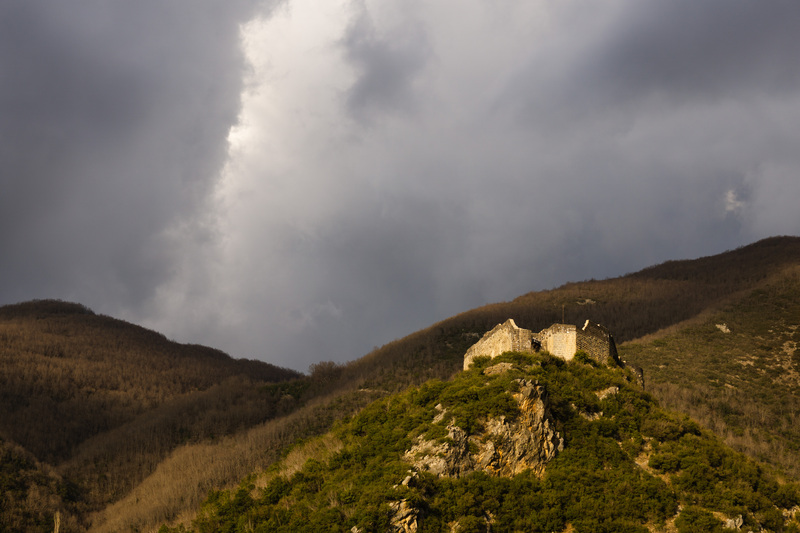 Çardak Castle, also known as Gavur (infidel) Castle and Frenk or Kara Frenk Castle, is a relatively large castle in the forested hills a little ways outside of the village of Çardak, on the outskirts of the Osmaniye city centre. As the original name of the castle is unkown, it’s hard to say exactly when and by whom the castle was built. The location is built a little ways above the old west-east trade route so we can guess that it was built to protect this valuable trade route. 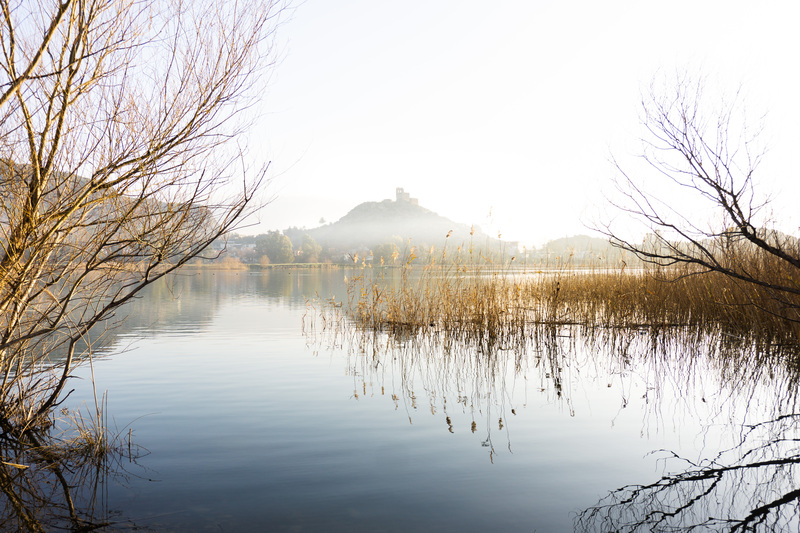 While close to the city, access to the castle is limited by lack of road, trail, and signage. According to the locals we spoke with, the castle is about a 5km walk from the village. 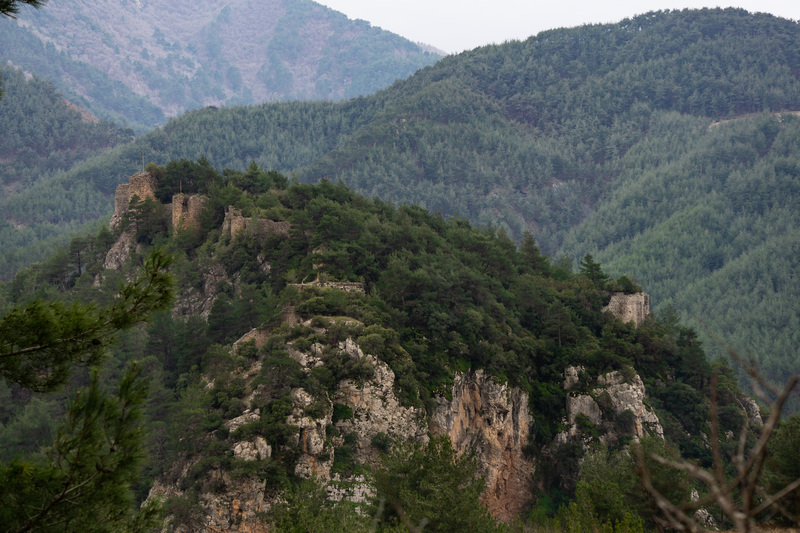 Believed to be left over from the Roman Imperial period, Savranda Castle has been left beautifully forlorn in a pine forest above the man-made lake of Kalecik Dam. Despite being one of the least visited castles on this list, the 8-metre-high walls and 12 towers are in decent enough condition to be worth a visit. The courtyards of the castle have all become overgrown with pine trees making for a rather attractive site. Despite what google maps is currently showing, Savranda Castle is not right in the town of Kalecik but actually a little way to the south of Kalecik just off the Kaypak road which leads to the kalecik dam. Babaoğlan Castle is a little known castle in the hilly woodlands of central Osmaniye on the outskirts of the village of Kazmaca, not far from the much better known site of Kastabala. The castle lies in a near original state amid the trees and is quite attractive. 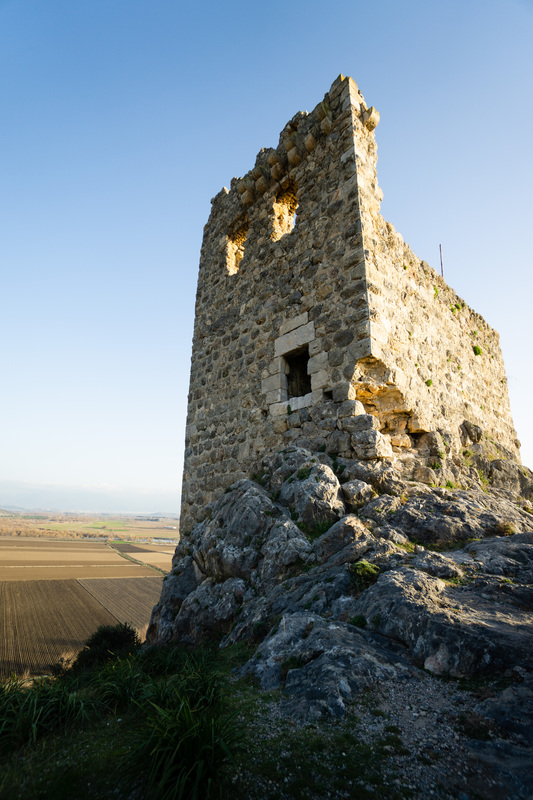 Babaoğlan Castle is only about 3 kms from Kastabala, but to drive to it you will need to loop around to the north to the village of Kazmaca making the trip around 6 kms. There is very little information available regarding this castle. The castle sits on a rocky hilltop just to the north of the village of Değirmendere. Değirmendere Castle is by far the most remote castle on this list. It is just outside of the village of Değirmendere, which is in the far north of Osmaniye, beyond Kadirli, 85 kilometres from the Osmaniye city centre. There is not one castle on this list that would be easy to get to using public transit. You could use a taxi to reach Kastabala, Hemite, Toprakkale, and Harun Reshid though it would cost a bit. In general we would highly recommend you use a car which makes all of the castles on this list quite easy to get to. As this is a relatively small area you could easily stay in the Osmaniye city centre and reach all of these sites by car. The city centre has the widest range of accommodation options. Kadirli and Düziçi are both limited with only about two mediocre hotels each. Just across the border in Adana is the absolutely spectacular Anavarza Castle! Planning on visiting Osmaniye? Make sure to check out what other sights are in the region!